We have a meeting scheduled for 6:00 p.m. Wednesday, January 20, 2016, at which point we will elect officers for the year, hear reports from groups, and plan projects for the coming year. Please plan to attend the meeting and share your ideas. Also, it’s time to renew memberships, please. 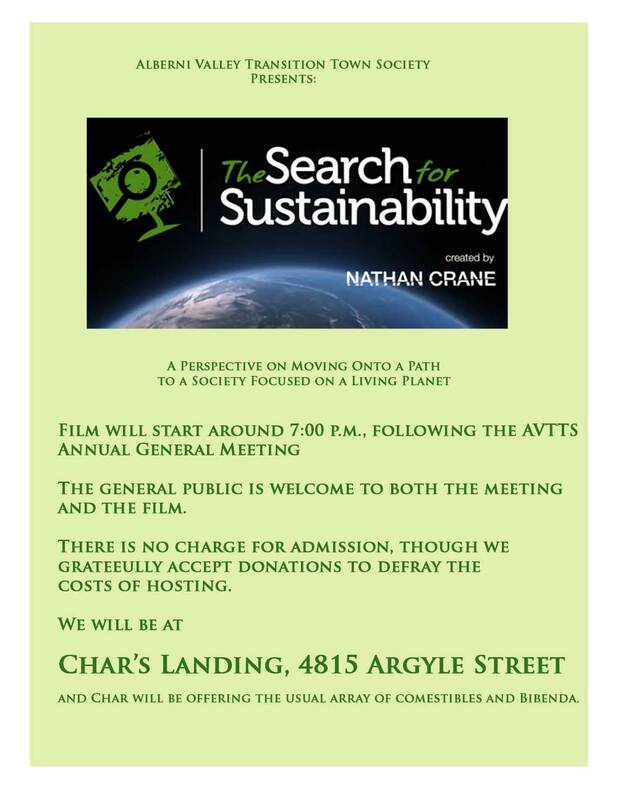 We will be ready with the presentation of the first episode of The Search for Sustainability, a series by Nathan Crane, much of which is pertinent to what AVTTS is attempting to accomplish. I look forward to seeing all and sundry, and please forward other agenda items to me (reply to this e-mail).